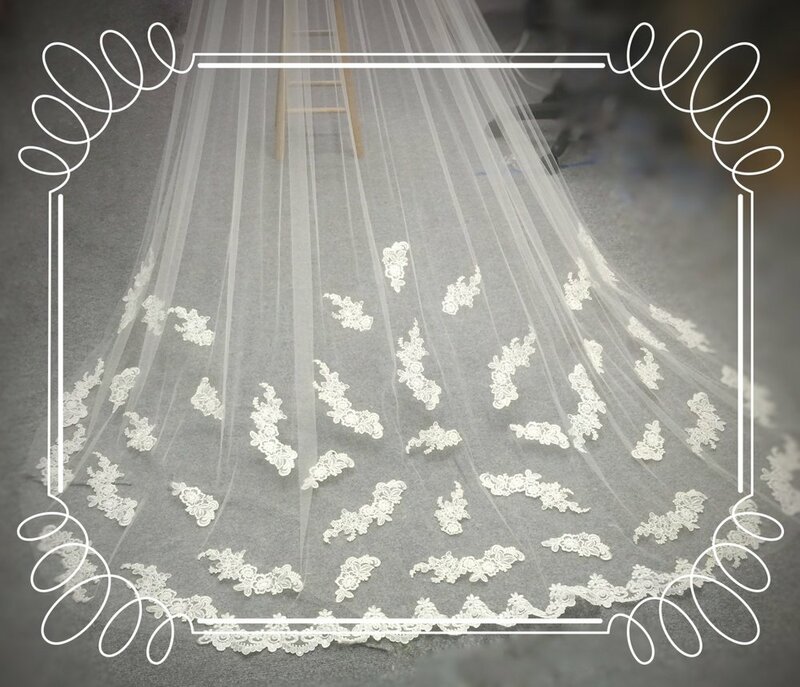 Traditional, elegant, simple... three words most brides use to describe their idea of the perfect wedding veil. However, most brides want something trendy as well. So how can you get that traditional look and still keep on trend of this year's latest bridal fashions? Appliques give you the traditional, lightweight look that you want, but with the trendy florals as well. These veils look amazing at any length and really compliment your dress. Space your appliques throughout the veil for a very trendy look that is sure to compliment any dress. 2. Do You Dare To Horse Hair? These veils look stunning with any dress! Choose from our 1" or 2" horsehair trim and give your veil the perfect finished look. The horsehair edging really makes for a perfect flowing, voluminous veil too! 3. Capes... Not Just For Superheroes! Many brides wrestle with whether or not to have a veil. They want the long dramatic train and shoulder coverage, but don't want to compete with their hair style or really struggle with the idea of a veil altogether. Have no fear capes are here... to add elegance and provide the shoulder coverage at the same time. Turn any of our gorgeous veils into a bridal cape, custom made just for you! Add a ribbon trim or bow for a splash of color to your bridal day look. If you are thinking of a longer veil but still want to add a modern touch, try a bow veil. This adds a modern satin bow to your veil's comb. Add a gorgeous satin bow for a very modern look. 5. Birdcage Veils are still Trendy! These veils are the definition of simple and are simply Elegant! Birdcage veils are sure to bring the perfect modern finishing touch to your bridal look. Ladies I hope these 5 trendy veils helped in your search for the perfect veil. It's okay to want traditional with a twist. Just remember you already found the perfect guy, compared to that finding the perfect veil is a piece of Cake!